It was so bad it woke me up. Don’t worry – Special Man to the rescue, he came and massaged them back to normality. What a man!!! Chat and chat and chat to Special man. This was only his second morning home after two weeks away. It was so nice to be able to spend a little face to face time together. Welcomed the day in at midnight. Special Son is suffering with a nasty bought of bronchitis at the moment and so spent most of the night coughing up a lung. Poor little guy. Subsequently we got to see quite a lot of each other during the night season. It’s amazing – just when you think you just cannot get up again, you manage to pull yourself out from under the covers to rescue the needy. It’s at times like this I look around for the mother, and realise (with a sigh) that the mother is me!!! I was out at a meeting. It was nice to pause and hear His voice guiding my input. I tend to be very impulsive and sometimes say things I regret later, but tonight I sensed God’s presence in a special way and there were times that I paused to ask Him when I should speak. I enjoyed His guidance! Going out with just Special Son and me. With three kids and a very busy husband these sort of events don’t happen very often, but today Special Son and I got to enjoy each other’s company for 2 uninterrupted hours (during daylight, which is always a good thing :)). After we left the chemist, we walked arm in arm back to the car – it is a moment I will cherish forever!! Although this photo wasn’t taken today, I discovered it today. 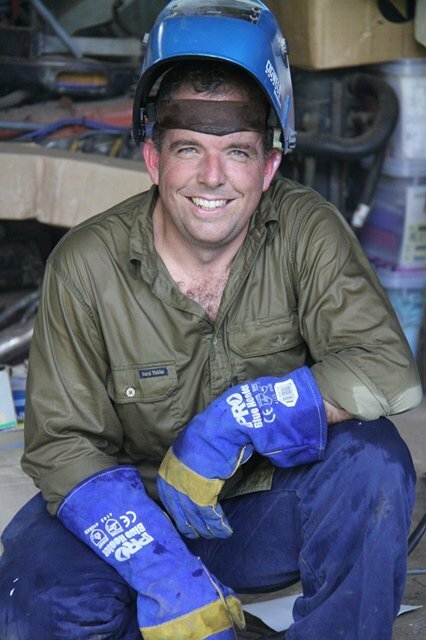 It is of my Special man welding over at the Solomons – spot the dry spot. 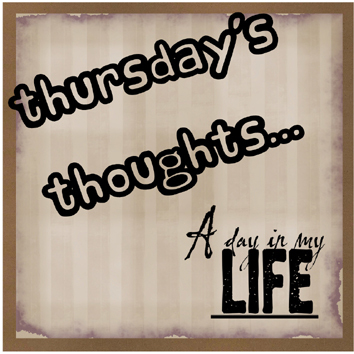 Why not publish your own Thursday’s thoughts and add your post to our linky below. I’d love to read about your day! !